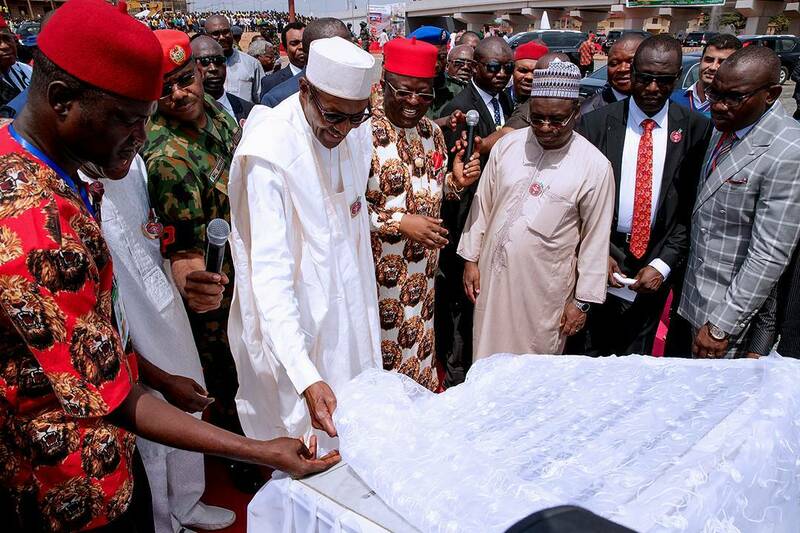 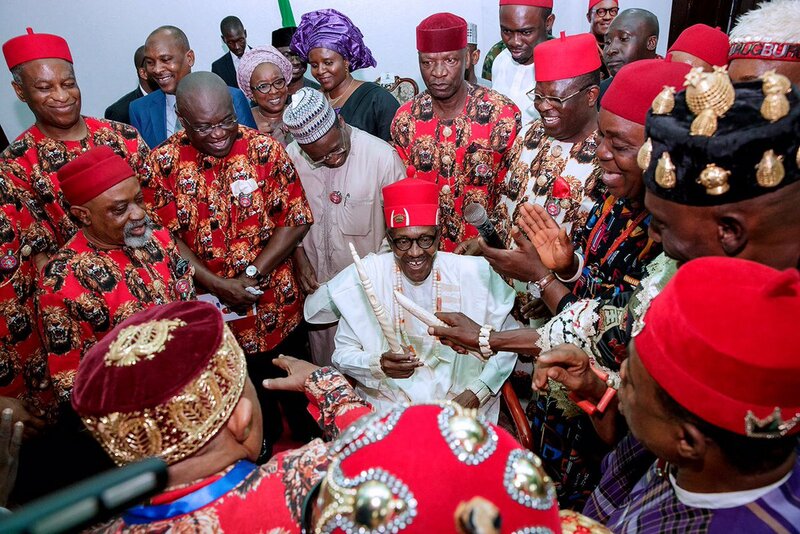 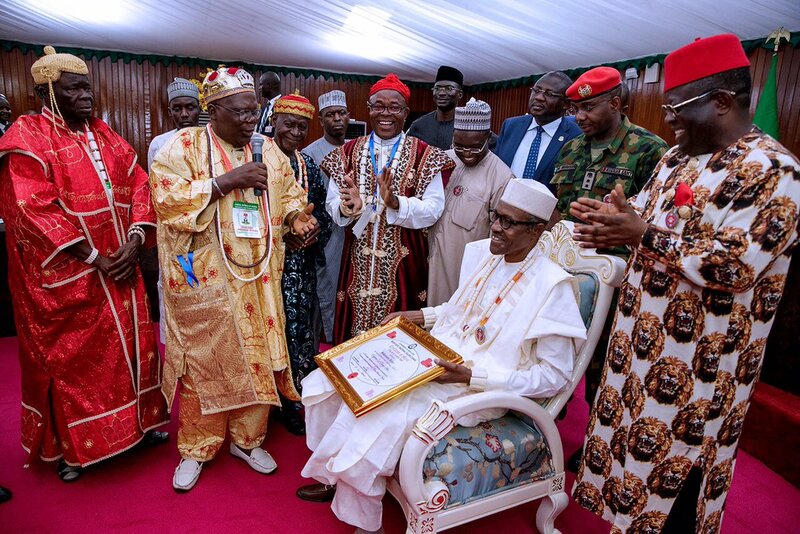 Ebonyi State people has honored President Muhammadu Buhari who is currently on a 2-day visit to the South-East with 2 chieftaincy titles. 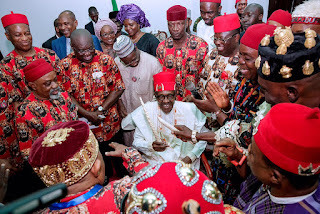 The official Twitter account of the president @NGRPresident shared photos of him receiving the titles, Enyioma 1 of Ebonyi, and Ochioha Ndi Igbo 1. 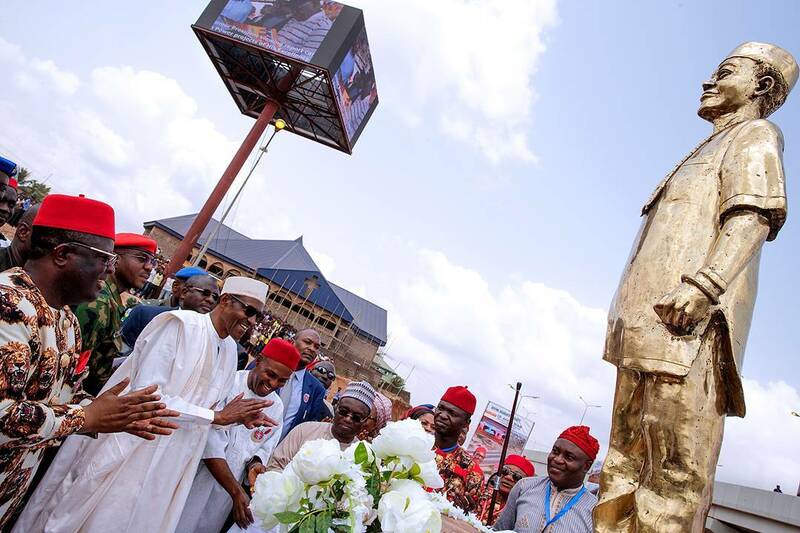 The president also attended the unveiling of the statue of one of the founding fathers of Nigeria Akanu Ibiam. 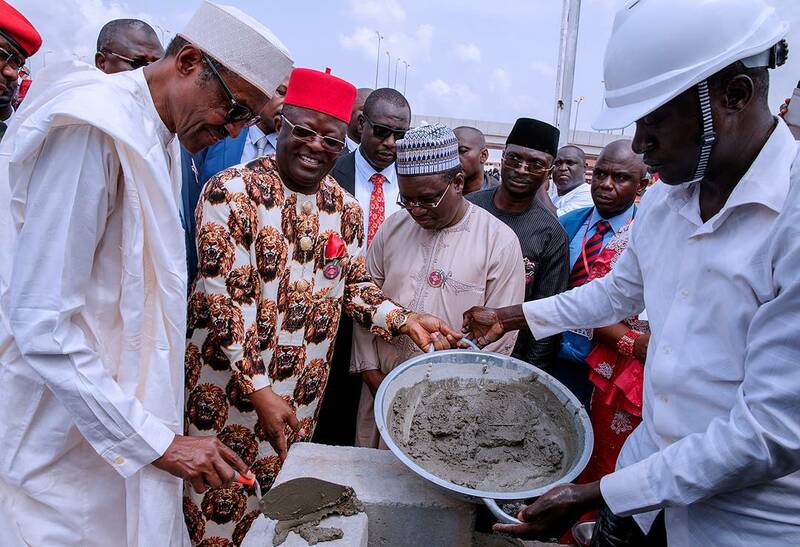 The Twitter account also revealed President Buhari inaugurated 2 multi-billion naira flyover projects built by the Ebonyi State Government on a section of the African Trans-Saharan Highway that runs through Enugu, Cross River, and Cameroon.